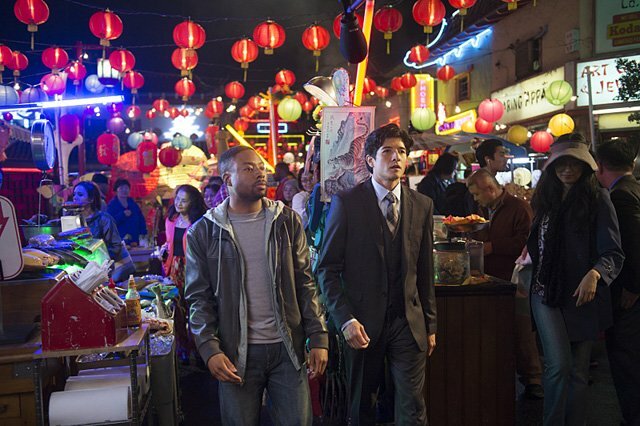 Freshman drama Rush Hour won’t be returning to CBS for a sophomore run, after the network confirmed plans to quietly cancel the action spinoff after its inaugural season. Initially pitched as a reimagining of the feature film series of the same name – which began life in 1997, starring Chris Tucker and Jackie Chan – CBS’ small-screen rendition of Rush Hour struggled to garner any sense of momentum since it first debuted earlier in 2016. It’ll continue airing until the end of the season, where Justin Hires and Jon Foo play the parts of Detective James Carter and Chief Inspector Lee, respectively. Alas, middling reviews and low ratings effectively sealed the network’s decision, and it’s understood CBS had been shopping around the series in an attempt to find a home prior to today’s cancellation. It appears that Rush Hour‘s fate has been sealed though and, after just a brief spell on TV, the fastest hands in the east will no longer be partnering with the loudest mouth in the west. In related news, the fate of fellow freshman drama Limitless remains unknown at the time of going to press, meaning it could well join Rush Hour and Angel From Hell in receiving the ax. Elsewhere on the network’s slate, high production costs recently drove Supergirl to The CW. Minority Report and now Rush Hour‘s ultimate fate don’t necessarily bode well for other TV spinoffs based on movies. Looking ahead, Lethal Weapon, The Exorcist and NBC’s Taken are all in the works, but can they succeed where others have failed?